“Better with kinect sensor.” Now there’s an oxymoron. Twenty years of technical fine-tuning, at least three critically adored blockbusters, as staggering a breadth of world-building as any practiced by Tolkien, Jordan, or Jacques, and a particularly epic (violin cover of a) musical theme in the making, the role-playing high fantasy series called The Elder Scrolls remains one of more prestigious and celebrated labels in all of video gaming, and yesterday it left behind a heritage of massive single-player worlds in order to explore the online territory previously scoped out by lengthy and perennially updated MMOGs such as World of Warcraft or Guild Wars. And yet for all my lamentable immersion in the realm of interactive storytelling, somehow I hadn’t even touched one of these scrolls until about two weeks ago, when I popped the fifth and latest title released thus far into the old Xbox 360 and cautiously steeled myself ravenously dove in to see whether all the hype was well founded. Having played Skyrim for about five hours now and watched some friends play it for much longer periods, I can’t fathom for the life of Brian why it’s, you know, the most important thing that ever happened to video games since the Uncharted 3 Wal Mart/Target/Best buy demo, Batman Arkham Asylum, Bioshock, Half-Life 2, Halo: Combat Evolved, Myst, Doom, Zelda, Super Metroid, or Ms. Pac-Man if you want to go really far back. 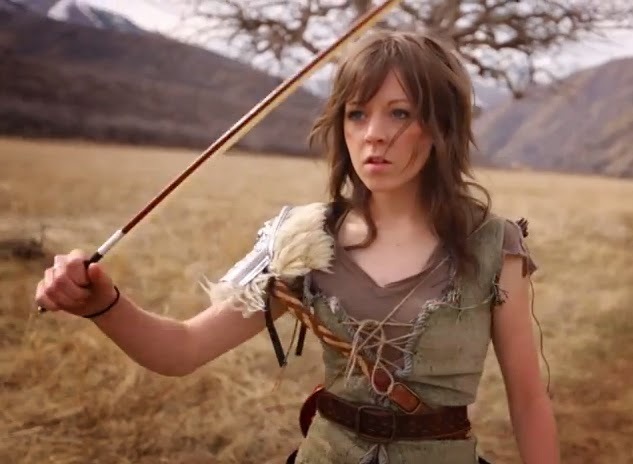 Maybe Betheseda felt unduly handicapped by the mere 17 buttons they had to work with on the Xbox controller, maybe their chief story editor got eaten by a dragon in the middle of development, or maybe I erroneously expected that this would even slightly attain to the grandeur of that astonishingly beautiful Lindsey Stirling (music video) I watched a dozen or so times, but so far Skyrim doesn’t add up to anything more than the sum of its virtually harmless hordes of giant spiders, wolves, bears, R.O.U.S.s, walruses, and other non-threats. None of its grotesquely animated characters are all that pleasing to look at, for one, which is an immediate albeit expectable letdown for me given my only past acquaintance with the game, but I’m sure these questions would still torment my mind even if I hadn’t taken a Cupid’s arrow in the knee. * Why is that quote even funny? Or the one about the sweetrolls? * Why do I have to pause the game and toggle through a menu if I want to swap one utensil or incantation of destruction for another? Why did the programmers reserve an entire button just for drawing and sheathing your weapon instead of for doing something truly practical, like substituting your longbow with a proper, close-quarters sword and shield when you’re on the brink of getting gutted? Why didn’t the people behind this take some extremely basic pointers from Halo or Call or Duty or pretty much any other shooter, which all enable players to switch weapons with a single button press? * Emendation: I just figured out how to assign two separate equipment groups using the left or right positions on the controller’s D-pad. That’d be a great function if it worked the way it should in the course of battle, which it doesn’t. * Why isn’t there a proper jump attack or sprint jump ability? I mean – get with the 21st century. Gosh. * Why do women comprise so large a percentile of the robbers, hostile soldiers, and other enemies who attack you? Is this the designers’ inept way of suggesting that women are just as savage, strong, and kickbutt as men in their idealized fantasy universe? What a flattering and ‘progressive’ image, Betheseda. * Why did they incorporate feline and reptilian humanoids in a potentially serious fantasy universe? Orces, elves, and dwarves I’m totally fine with, but where did they get the idea for these sorry jokes? Was the art team watching Star Wars: Clone Wars with the primitive rabbit-headed tribespeople when they came up with this idea? * How come none of the characters respond negatively when I rouse them from slumber? Is there a reason why they all just sit up and stare blankly as if they weren’t at all busy beforehand? * Why are there so many mundane, non-violent diversions like cooking and fishing and home decorating and sewing and potion brewing and forging and lumbering and mining in a video game that’s ostensibly about slaying dragons and striking into the wintry wilderness with sorcery and steel? 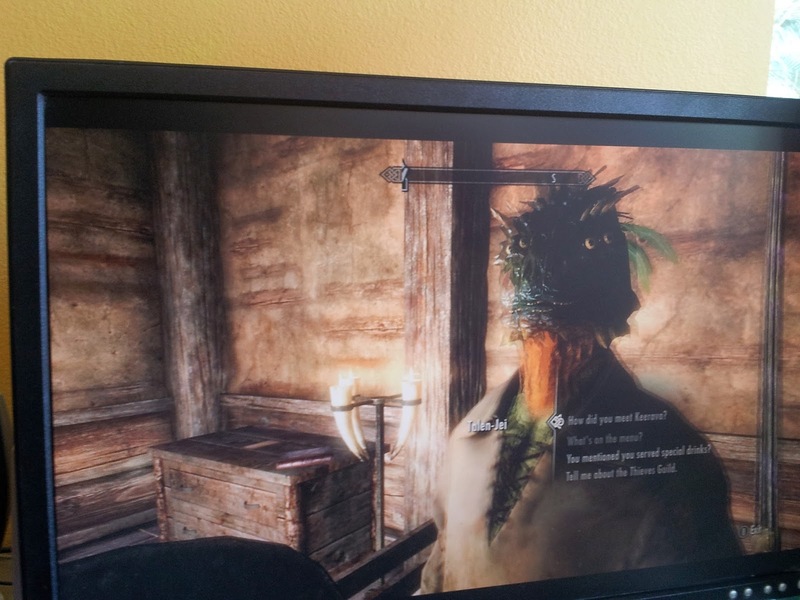 Why did the live-action and gameplay trailers emphasize the dragon-culling aspect if dragons only rarely materialize and most of the mighty dragonborn’s adventures actually consist of trading goods and dressing himself up different ways in the improbable event that a dragon does show to terrorize a village? * Why are useless household items strewn all around the varied environments? Am I really supposed to pick up all those baskets, urns, brooms, and bottles of wine lying about in dungeons, towns, and palace halls alike? What am I supposed to do with this junk anyway once I stuff it in my backpack? Sell it to a merchant in return for more junk or extract its natural materials so that I can build junk of my own design? Why do game designers instinctively equate realism to fun and deliberately structure their products to make unreal, fictional events look as realistic as possible to consumers who by and large couldn’t care less about cooking or weaving or basket-collecting in a game that allows them to indulge their long-bred, vengeful dreams of running a sword through a massive arachnid’s brain in slow-motion? * On the subject of realism, why does the player avatar quickly run up against physical exhaustion at the beginning of the game whenever he tries to run across open ground for more than ten seconds but nevertheless possess the endurance and resilience to swim indefinitely across freezing-cold bodies of water without exhibiting a sign of fatigue, let alone succumbing to hypothermia and death? I could doggie paddle out here for hours. * Why do characters in this medieval world of Norse tradition so often slip from their thick accents and high English dialects into gratingly modern American refrains like “Jarl so-and-so is in way over his head”? * How did the dragons that fly backwards ever make it past beta? 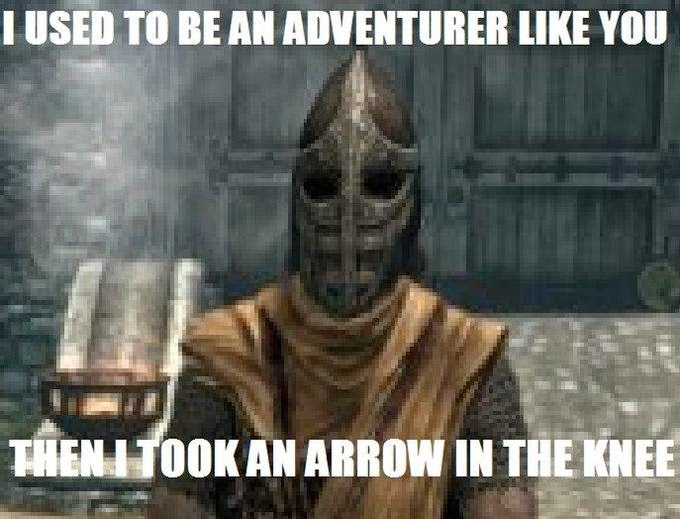 I haven’t seen them myself of course, as you have to wander around for much, much longer than five hours to find an unscripted dragon in Skyrim, but I’ve seen other people see them. On the other hand, I can testify to witnessing goats swim underwater, giants slam people hundreds of feet into the air, and horses ride up nearly vertical cliff faces. A blurry Bigfoot photo of the underwater goat. * Most egregiously of all, why did the writers pour countless irredeemable hours into composing and dispersing hundreds of historical, mythical, poetical, and expository texts that no one with full-time, real-world employment can afford to read if they wouldn’t even bother themselves to observe the proper punctuation of “its”, which in this case would be no punctuation at all? * Is that supposed to be a guitar, a harp, or a trident? * And if the developers were really set on putting bards in the game, why did they go with losers like the guy above instead of choosing someone like this? 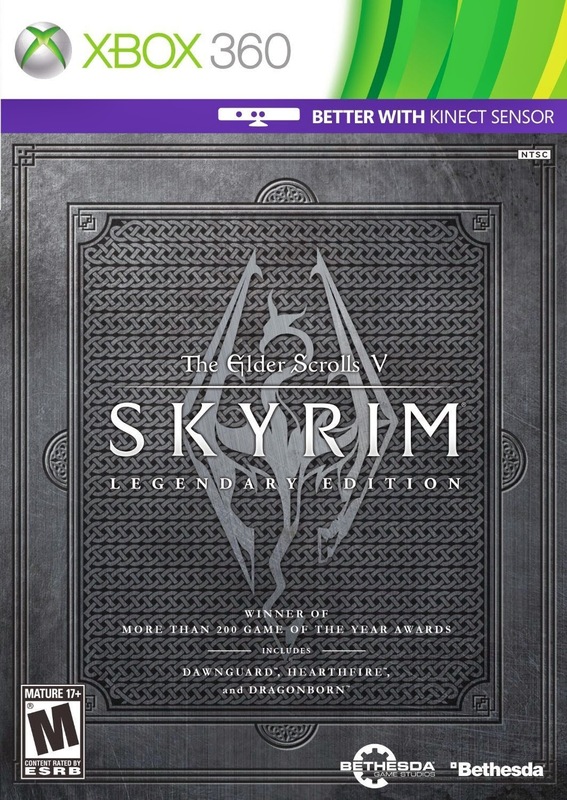 If you’ve got no obligations to a wife or girlfriend but feel comfortable burning two hundred hours of your life on a single, $20-40 video game, by all means read one of the aptly titled Elder Scrolls, since that’s mostly what you do in the game: read grammatically incorrect scrolls, read dialogue, and read the contents of your backpack. 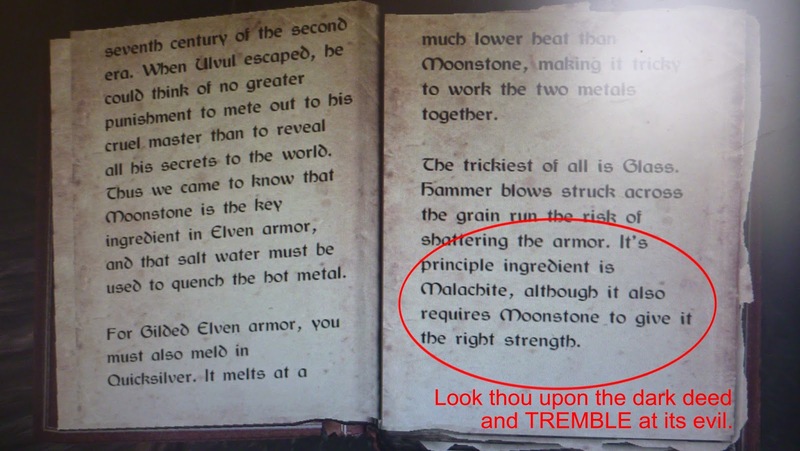 I personally think a young man could devote his time to much richer endeavors than the study of long, exhaustively detailed papers about the dominion of Tamriel – noble, romantic endeavors like finding and settling down with a nice girl, or scholarly, societally beneficial endeavors like writing long, exhaustively detailed papers about the stupidities of studying even longer papers about the dominion of Tamriel. Not that those are in any way exclusionary. $$$ rating: You could play this for the rest of your earthly life without ‘beating’ it, but you’d probably switch to Titanfall before that happened anyway.